Searching for Kratom Alternatives? Grab a Variety Pack at Kratora! Kratom (mitragyna speciosa) is a truly remarkable plant, which comes in many different forms, including three vein color varieties and numerous strains that are typically named for the location where the strain first originated. White vein kratom is one of the most popular varieties, with numerous strains that are renowned for their energetic and euphoric qualities. This type of kratom is often added to personalized kratom blends to improve the mood- and energy-boosting properties of green and red vein strains. This kratom alternative variety pack is perfect for those who live in a region where kratom is banned or simply wish to learn more about a plant that can potentially be blended with kratom or used alone. In addition to sampling these alternative herbs and botanicals, you may also want to try our white vein, green vein and red vein kratom variety packs. Kratom is quite unique in terms of its many different varieties, which can range from relaxing and sedating, to highly energetic and euphoric, and everything in between. These many unique kratom strains developed over time thanks to the isolated plant populations that evolved throughout the islands of Southeast Asia. Each kratom strain’s evolution was impacted by the local climate and soil conditions; these variables are unique on each island, so over time, lots of Kratora’s kratom alternative variety pack also includes 5 grams of the following – different kratom strains and varieties emerged. But few plants are this diverse; in fact, most herbs and botanicals have a far fewer alkaloids and other active constituents, resulting in a more narrow range of properties and effects. But some prefer these plants; others find them useful for use as a kratom substitute, especially in areas where kratom is no longer legal. The following is a look at the various kratom substitutes that are included in our variety pack. Combretum Quadrangulare or Sakae Naa is native to the wetlands and jungles of Asia, particularly in Thailand, where it gained popularity as a kratom alternative after kratom was banned. Native cultures believed the sakae naa tree had magical powers. Some properties that are similar to kratom include energy, euphoria, and relief of discomfort arising from inflammation or infection. Mitragyna Hirsuta is a close relative of kratom and as such, it contains many of the same alkaloids, although the range of effects are said to be narrower and milder. In smaller quantities, mitragyna hirsuta is more stimulant in nature, whereas larger quantities are associated with more sedative properties. This plant is native to Southeast Asia, growing in nations such as Indonesia, Thailand, Cambodia, Malaysia, and Vietnam. It is regarded as a popular kratom substitute in regions where kratom is unlawful. The key alkaloid contained within mitragyna hirsuta is called mitraphylline, which is also present in kratom and even cat’s claw. Researchers have even discovered that mitraphylline has opiate-like effects on the brain’s opiate receptors. Mitragyna hirsuta is rapidly increasing in popularity amongst researchers and botanical enthusiasts, amongst others. Muira puama is a South American plant that’s native to Brazil and other regions of the Amazon Rainforest. This extract powder is derived from the bark of the muira puama tree, which researchers have found to contain antioxidants, long-chain fatty acids, essential oils and the alkaloid, muirapuamine. Native tribes in the Amazon prized muira puama, which was blended with catuaba bark and used as a stimulant, mood-booster, and aphrodisiac. Akuamma seeds are native to West Africa, where native cultures have long favored this botanical as an option for relaxation, sleep and relief of various discomforts. Also known as vincamajoridine, akuamma seeds contain many potent alkaloids, such as akuammine, akuammidine, akuammicine, akuammigine, pseudo-akuammigine, and pericine. Notably, the chemical structure of akuammine (one of the most plentiful alkaloids found in this seed) is remarkably similar to mitragynine, best known as one of kratom’s key alkaloids. This seed is found within a fruit that grows on a shrub found in nations such as Zaire, Congo, Ghana, and Cameroon. The blue lotus flower is a water lily—not an actual lotus flower—that can be found in Northern Africa, along the shores of the Nile River, and in some portions of Asia. Back in ancient times, it was also found in South America, where it was prized by the Mayan culture. Archaeologists have even found ancient Egyptian artwork and myths depicting the blue lotus flower, which has historically been regarded as an aphrodisiac with psychoactive properties. Some also use blue lotus to relieve discomfort. 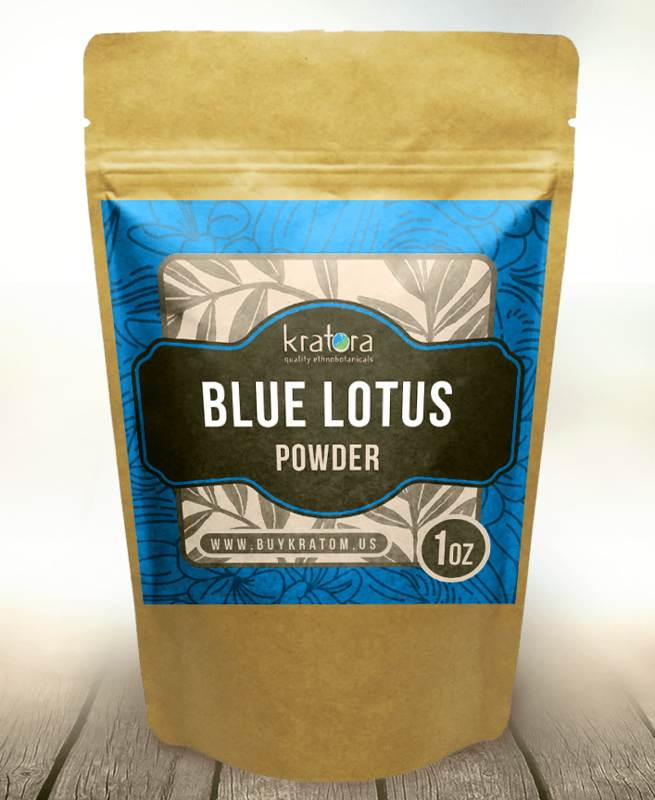 The powder is created by drying and pulverizing blue lotus flowers. more stimulant, whereas larger quantities may be more sedative in nature. This is a must-try plant, whether you’re a researcher, an incense enthusiast or anyone in between. Kratora’s team has traveled worldwide in search of the planet’s most unique and potent plants. While we started out specializing only in kratom, we soon discovered a that the world is home to lots of other herbs and botanicals that hold similar properties. We have seen a marked increase in terms of interest in these kratom alternatives and substitutes as some regions have imposed restrictions on kratom purchase, sale and possession. Our team is actively seeking new kratom strains and other fascinating plants with interesting properties, as we visit locations such as Africa, Asia and South America. To discover our diverse range of offerings, scroll to the top of the page to browse our selection, filtering by region, by effects, and by product type.